Libird remain contemplative throughout their days. Their slowly nodding heads, turned toward the ground as if lost in thought, indicate a heavy mind. Legends indicate that it uses a supernatural perception - counting the interactions between man and monster across time. Upon its death, it is said to report its totals to the gods, who then pass judgement on the continued co-existence of man and beast. Indeed, Libird's lives end abruptly and without fail - an individual has never lived to see its 91st year. Libird seem inexplicably attracted to the city of Appenton, a relatively new phenomenon - only observed during the past two decades. Much research remains to be done on Libird, and what they may indicate for the future of man and beast. 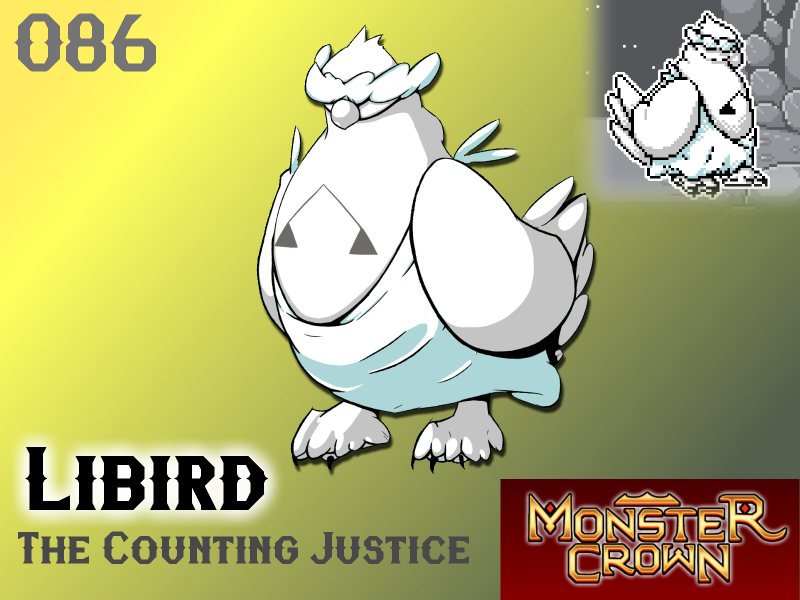 Will Libird make your team?